2019 Garden and Home Expo will be held 12th and 13th October. Details to follow. This annual event is the second largest in Victoria with over 150 attractive and innovative sites, enjoyed by a crowd of over 6,000 with displays and sales stands. 2018 Melissa King is our Gardening Expert, with demonstrations and talks through the day. Melissa has gardening in her blood. 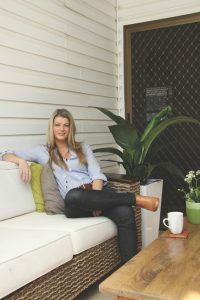 She grew up playing in her grandparent’s native plant nursery and at fifteen started working weekends in a garden centre, which fuelled her love of all things green. She then completed a degree in horticulture and carved a career in gardening media becoming a popular face on gardening and lifestyle television shows as well as a well-known and respected writer, author and speaker. She worked alongside Peter Cundall on ABC’s Gardening Australia, combined her love of gardens, food and travel as one of the hosts of the travel series Gurus Explore, transformed front yards in Channel 9’s make-over series Battlefronts, hosted the gardening segment on Channel 10’s fun morning show ‘The Circle’ and inspired people of all ages to get out into the garden on Foxtel’s Garden Angels. These days Melissa stars in The Garden Gurus on Channel 9 and is proud to call herself a ‘Gardenette’.